Fall marks the beginning of the holiday season. In most parts of the country the weather is getting colder and meals are getting heartier. 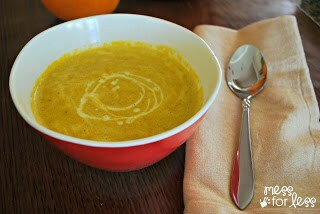 There is nothing better than a hot bowl of soup to take the chill out of a Fall night. 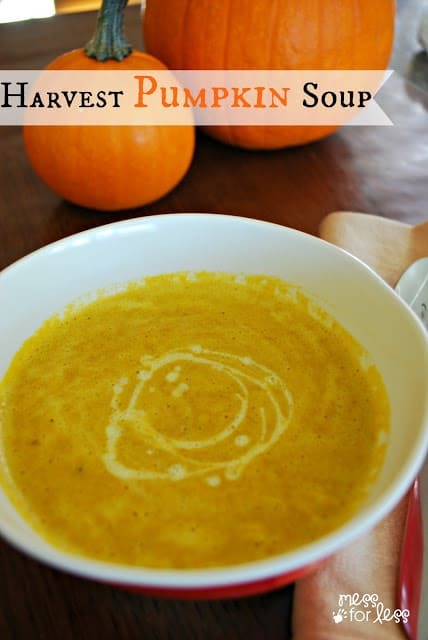 This Harvest Pumpkin Soup is one of my go-to holiday dishes. 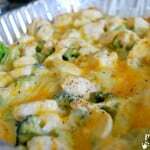 It is perfect to serve at Thanksgiving, but simple enough to prepare any weeknight. 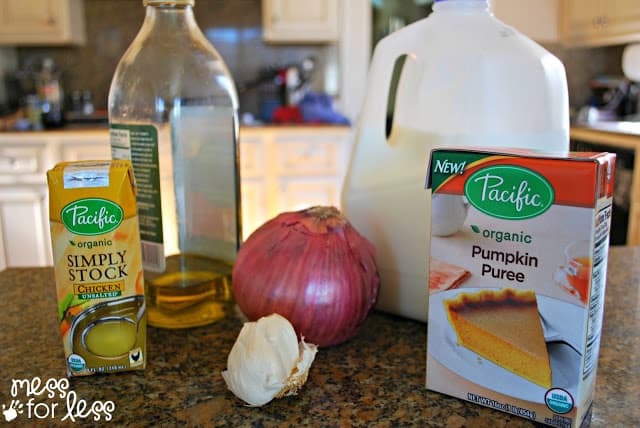 I swapped out some of the ingredients I normally use with products packaged in Tetra Pak cartons. 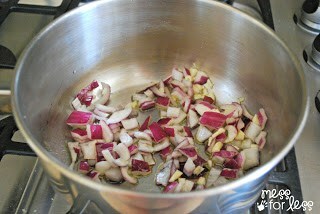 Saute onions and garlic in olive oil in a large saucepan until the onions become soft. 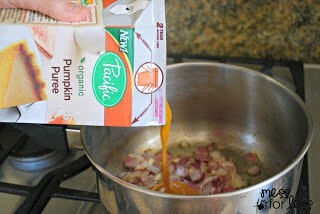 Add in 2 cups of pumpkin puree to the onion mixture in the saucepan. 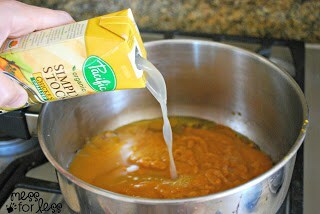 I used Pacific Foods Organic Pumpkin Puree which comes in an earth friendly Tetra Pak carton. Tetra Pak cartons are made from 70% paper and use 1/3 of the packaging compared to cans. 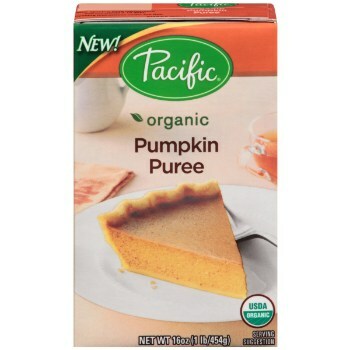 I usually purchase canned pumpkin puree, so I was happy to learn that I could get fresh tasting pumpkin puree in a package that results in 60% less landfill waste than cans. Add 8 oz of chicken stock. Add 1 cup of milk and simmer for 10 minutes. I used an immersion blender to blend all the ingredients. If you do not have one, you can use a traditional blender to blend the soup in batches. Once blended, simmer for another 5 minutes. 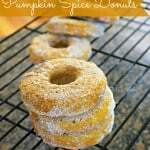 For a garnish, I used a tablespoon of pumpkin spice coffee creamer. Make the switch this holiday season by swapping out an ingredient in your favorite recipe with one contained in a Tetra Pak carton. 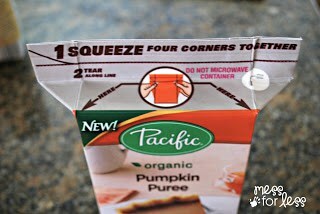 Items packaged in a Tetra Pak carton are stackable and save valuable pantry space. Plus, the unique packaging process preserves the flavor and nutrients of food without using preservatives. You can even do you holiday baking in a recyclable carton made from 70% paper from selectively harvested, re-grown trees. We always make turkey sandwiches with the leftover Thanksgiving turkey, so nothing is wasted.